To celebrate the new 2019 and make it even better, Yggdrasil prepared an extra surprise! The winner of this last campaign will enjoy crystal clear waters, fringed by pristine beaches and blanketed in lush tropical greenery. Qualified players who complete the mission during the campaign period can win a prize from the total prize pool of €100 000, including one-time trip to the Maldives! For instance, for all players who rank outside the 800 leaderboard qualifying positions, the position displayed will be 801. 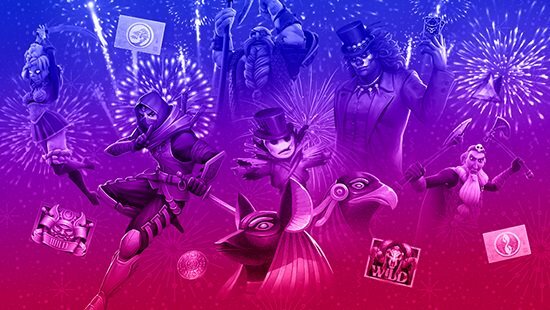 Each qualified player will have 24 hours from the tournament finish, from Jan 7th 00:01 to Jan 7th 23:59CET 2019, to enter the RAFFLE section in the Mission window of the client in any of the participating games and pick one of the chests. The other cash prizes from the leaderboard will be credited to the players’ accounts after leaderboard and/or raffle are over. The cash prizes will be automatically credited to the players’ accounts as withdrawable funds in the respective account currency. To display the prize accordingly in their balance, players will need to reopen any Yggdrasil game once the leaderboard or raffle is over.